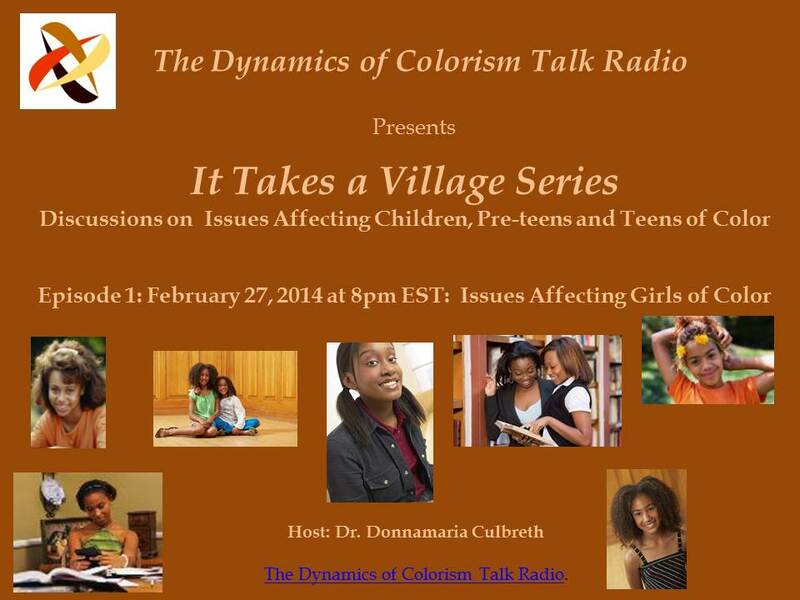 February | 2014 | The Intraracial Colorism Project, Inc. It Takes a Village Series. 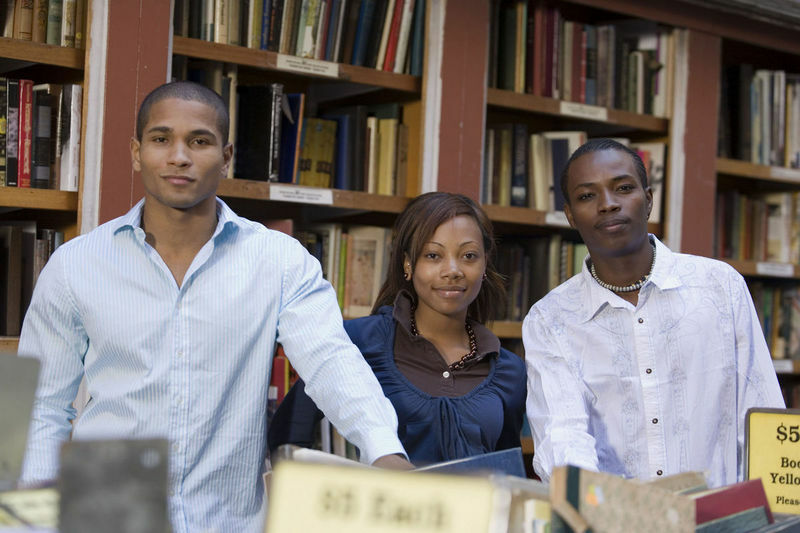 Be a part of the change that is needed! 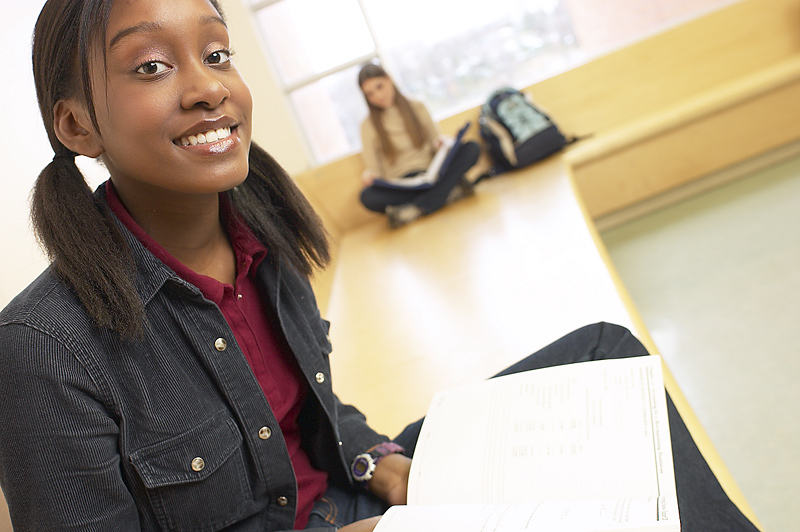 I am recruiting team members to work with me on I Am Beautiful.-ICP. If interested, please contact me using the form below. 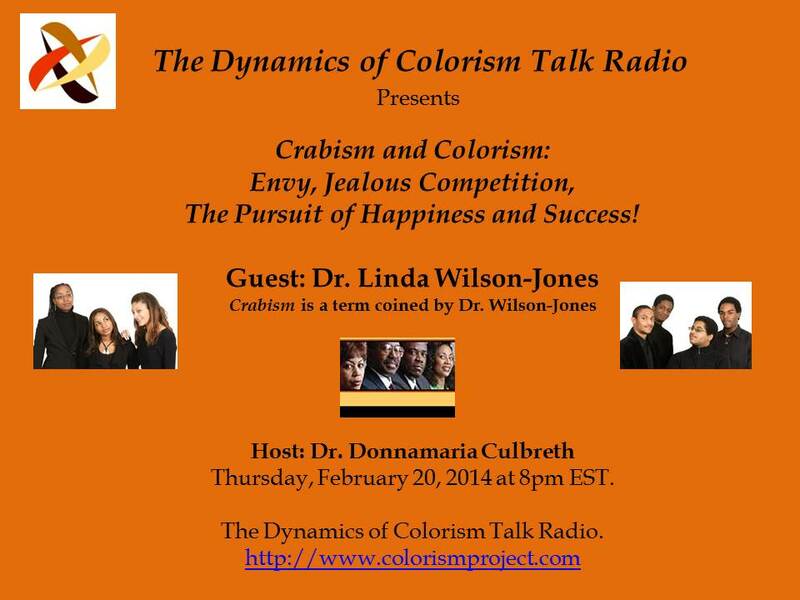 Join Dr. Culbreth, Dr. Styles & Dr. Wilson-Jones for a eye opening discussion on “Crabism and Colorism: Envy, Jealous Competition, The Pursuit of Happiness and Success”. 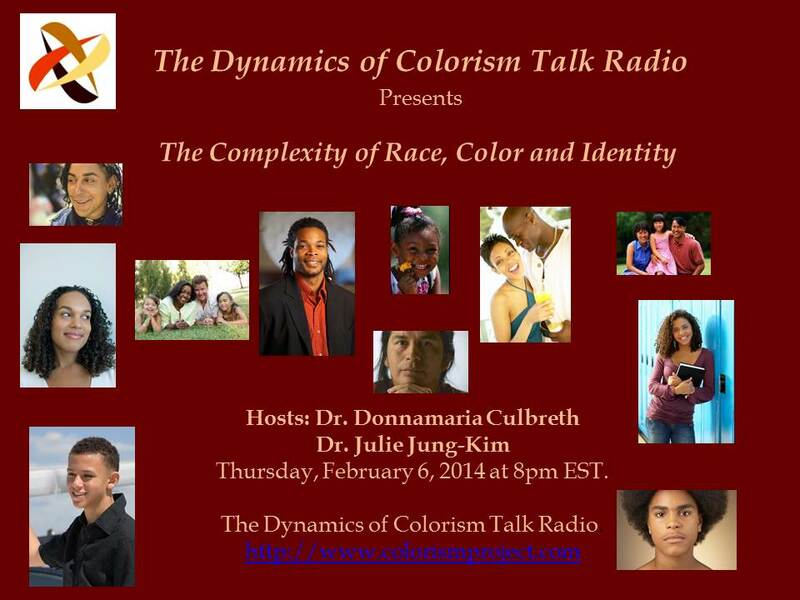 Thursday, February 20, 2014 at 8pm EST on The Dynamics of Colorism Talk Radio. An eye opening discussion that will not be sugar coated! 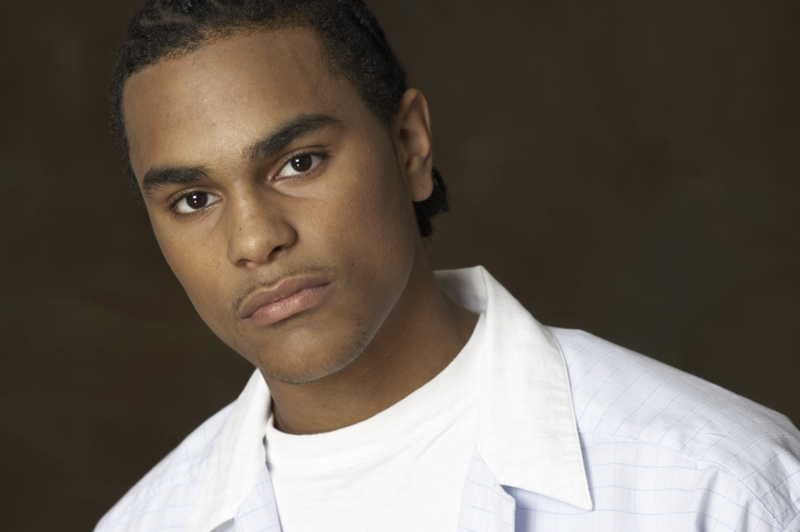 The Complexity of Race, Color and Identity.